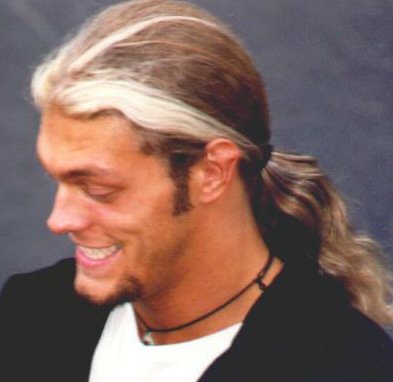 Edge - Cutest guy in the world! 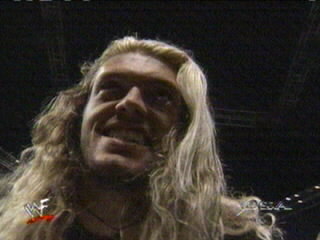 Click here to see Edge's WWF entrance video! 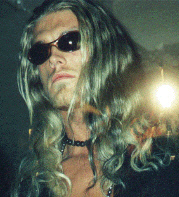 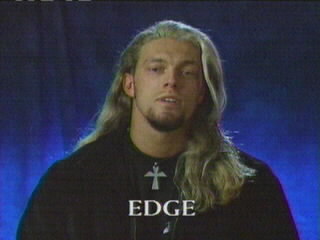 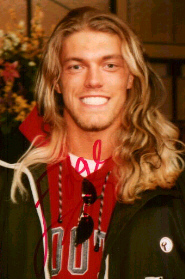 Edge is such a handsome man! 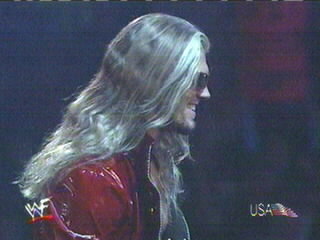 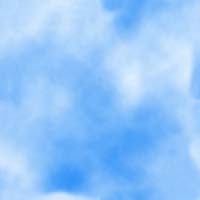 From the very first second I saw him, I couldn't take my eyes off of him! 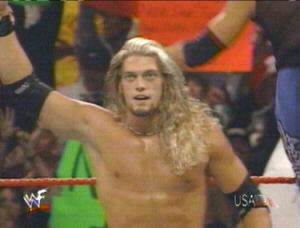 He has the most beautiful, soft, fluffy hair I have ever seen and a great body to match! 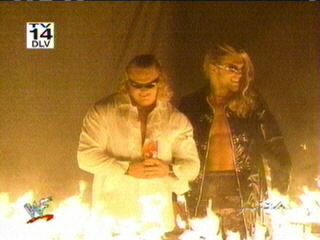 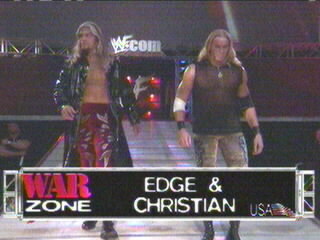 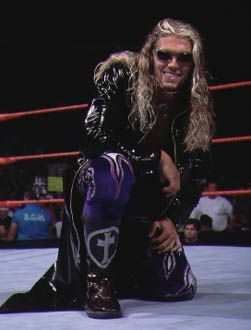 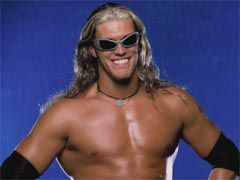 He almost always wrestles in tag team matches paired with his "brother," Christian, and rarely has a match alone. 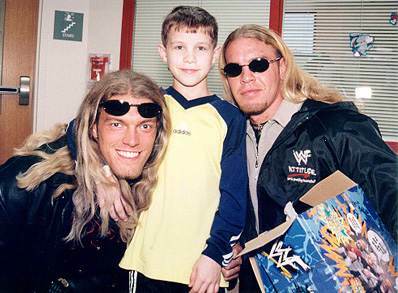 He used to make his way to the ring from deep within the crowd, but lately he has been entering from the main entrance accompanied by Kurt Angle. 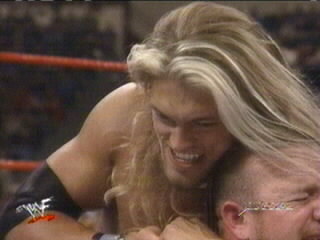 For some odd reason, after he and Christian became tag team champions, they decided to become jerks and hang around Angle, who already had the reputation of being quite a jerk. 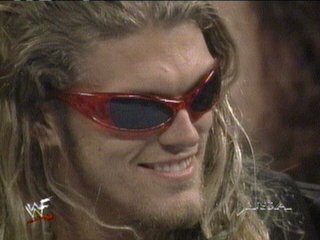 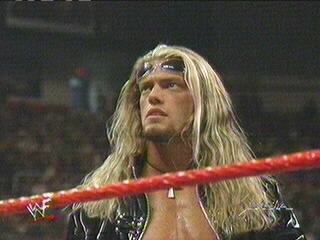 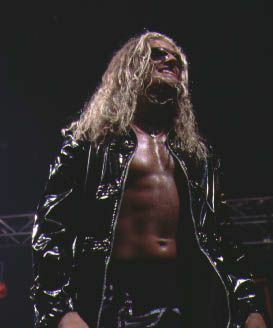 Regardless, Edge has me mesmerized every time he appears.